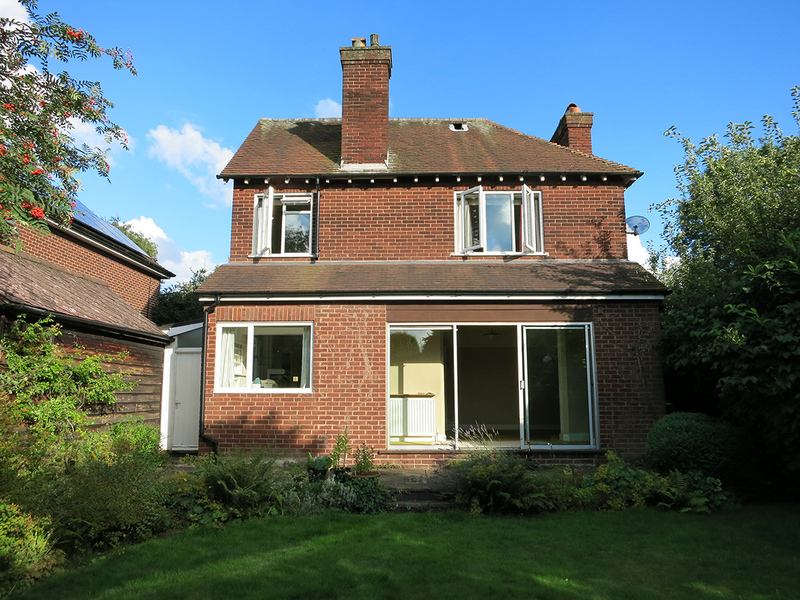 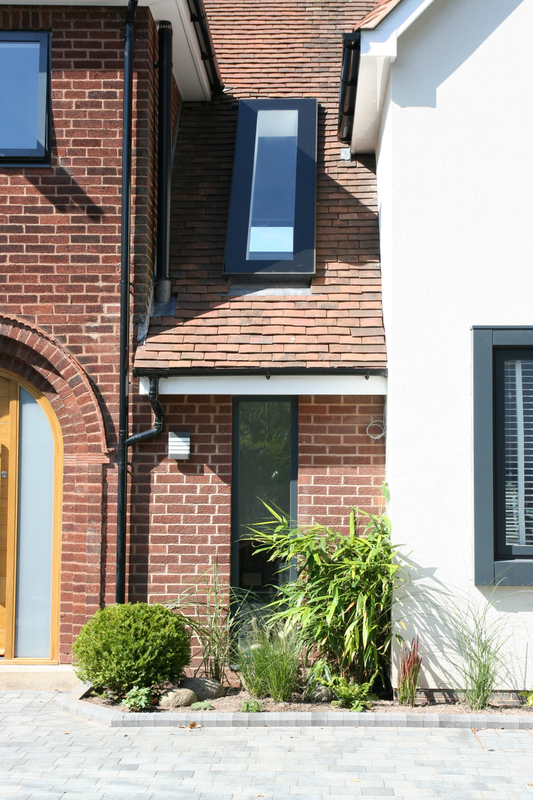 The owners of this detached house in Lichfield wanted to extend but in a sensitive way so that important details of the existing house were not lost. 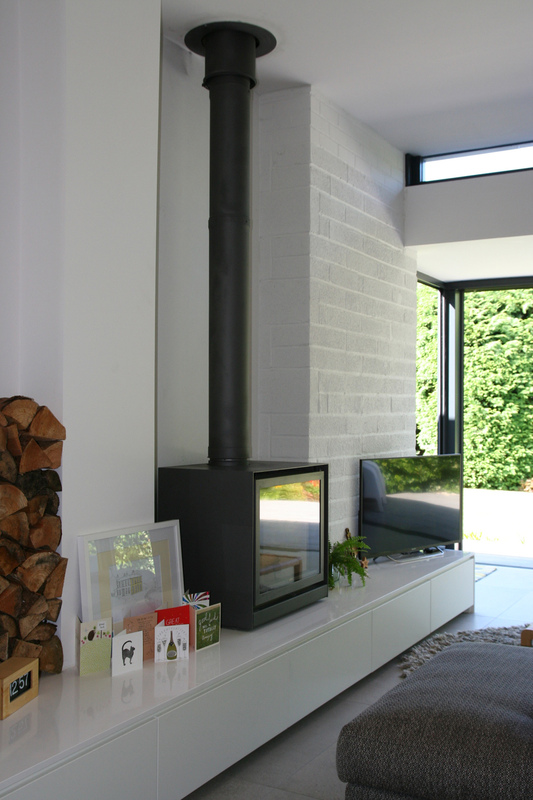 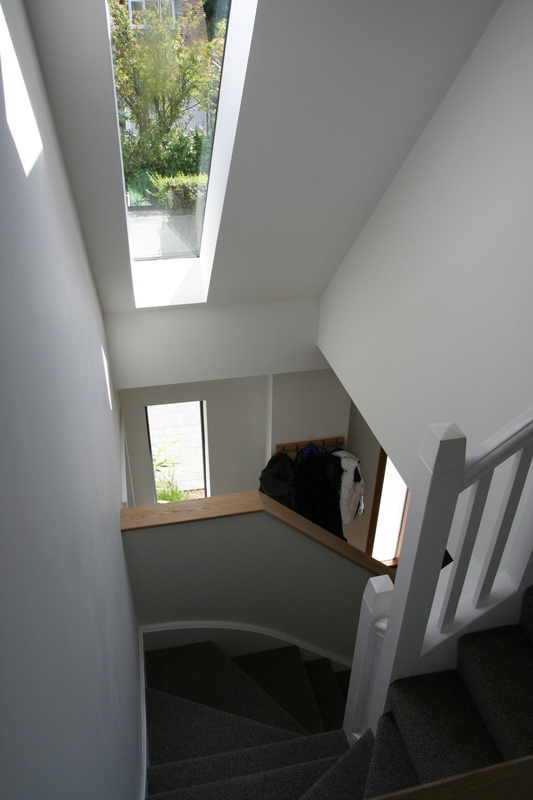 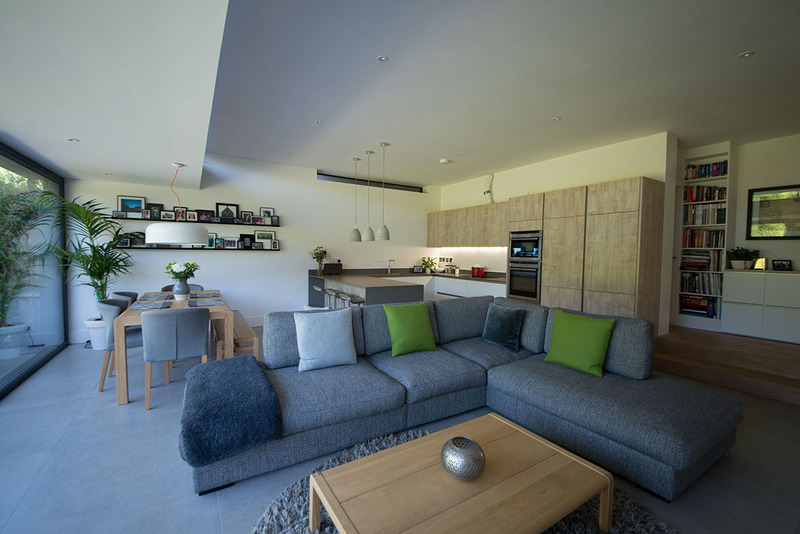 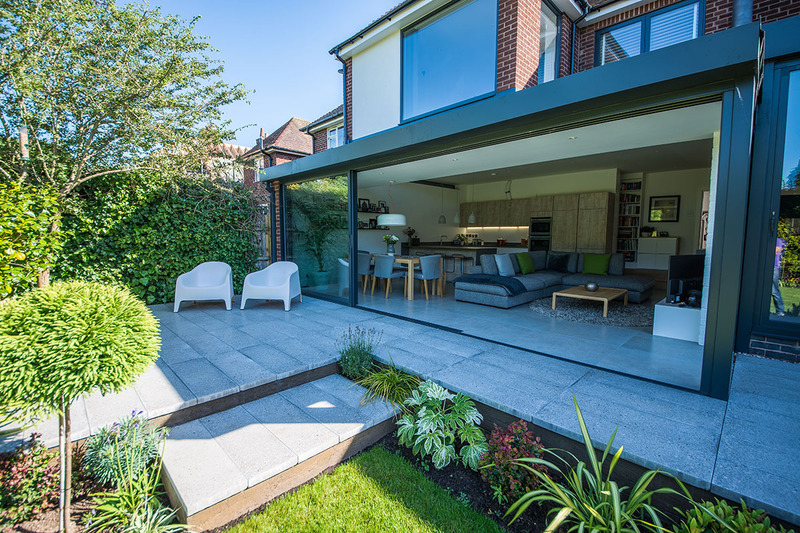 They also wanted to re-evaluate the existing internal layout to create more rooms with good natural light, while adding storage and a better connection to the garden. 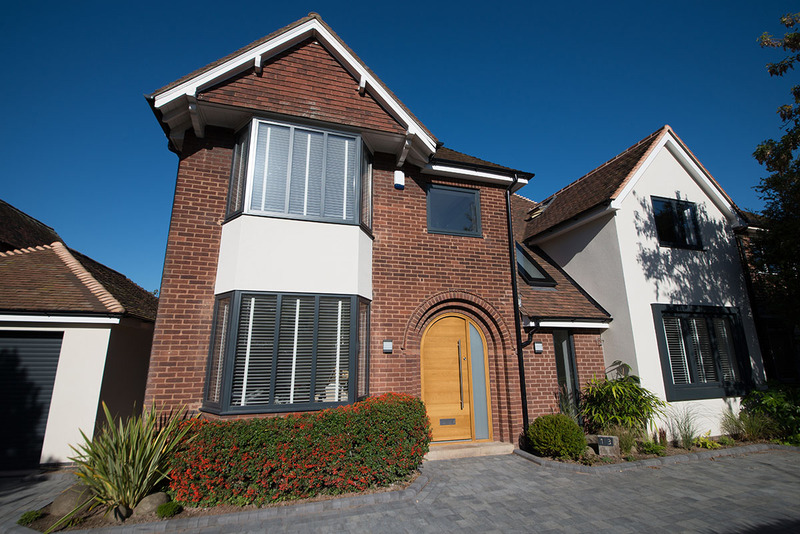 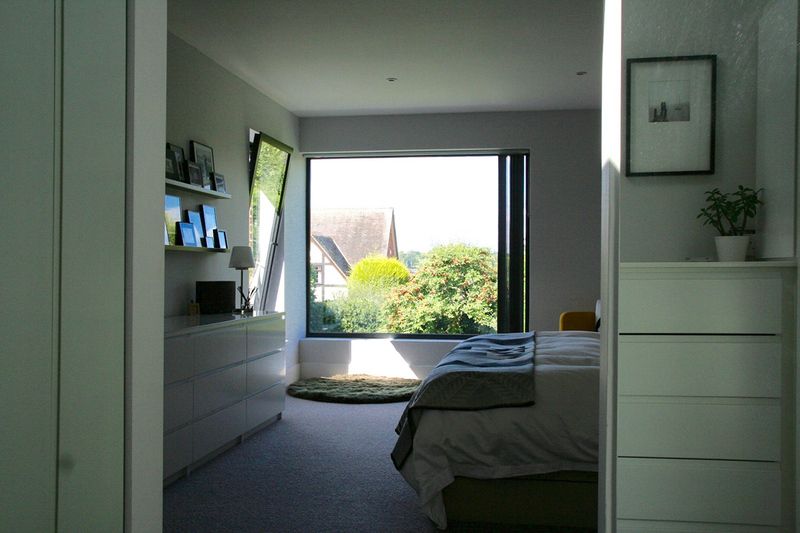 Together, we developed the brief and designed a two-storey side extension to house a new guest bedroom on the ground floor with a master bedroom suite above. 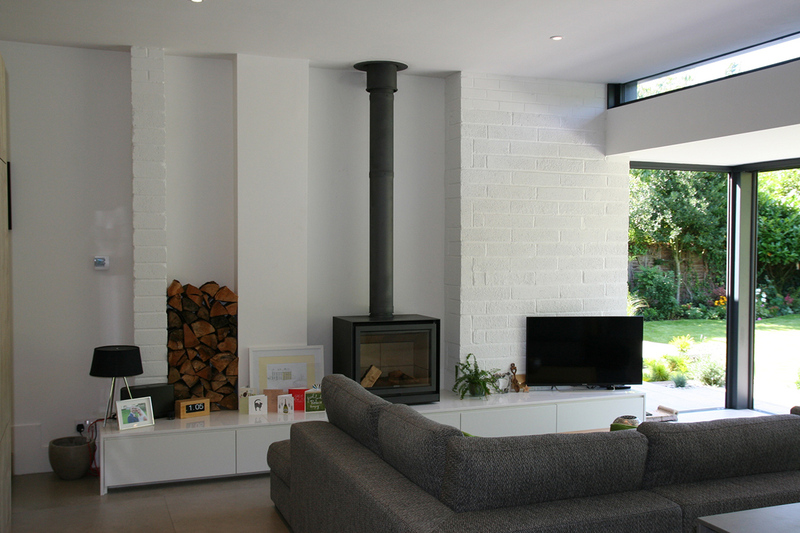 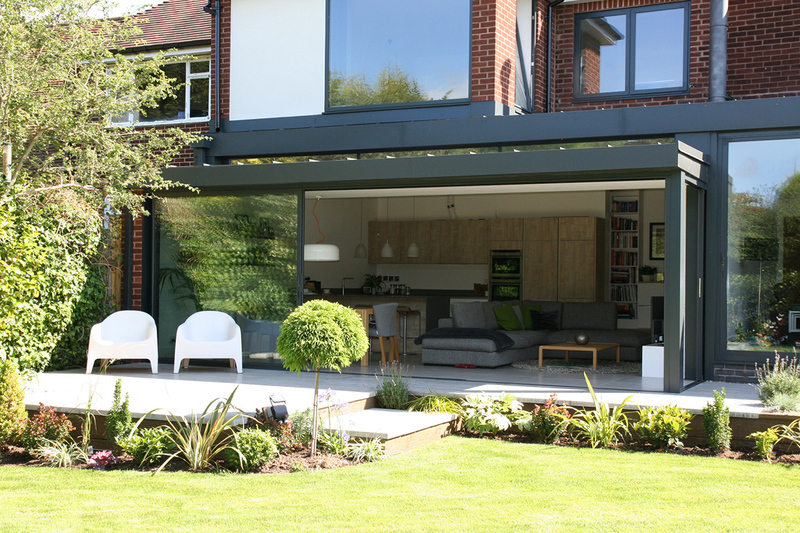 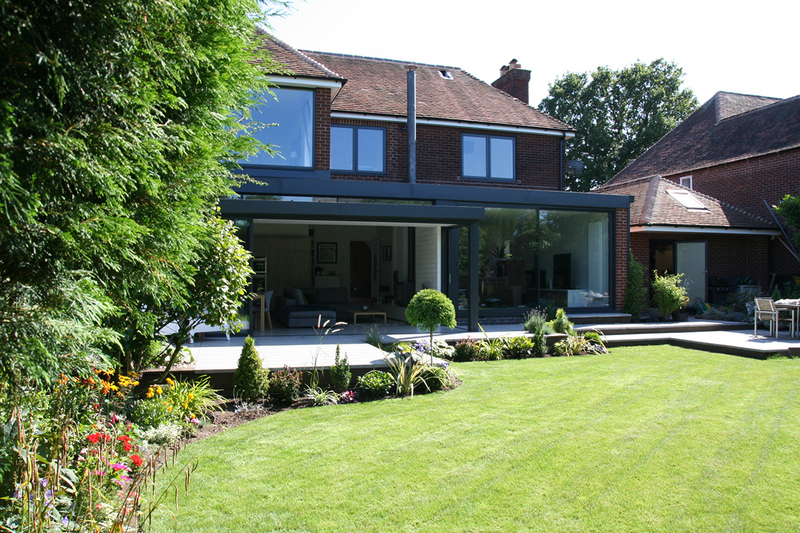 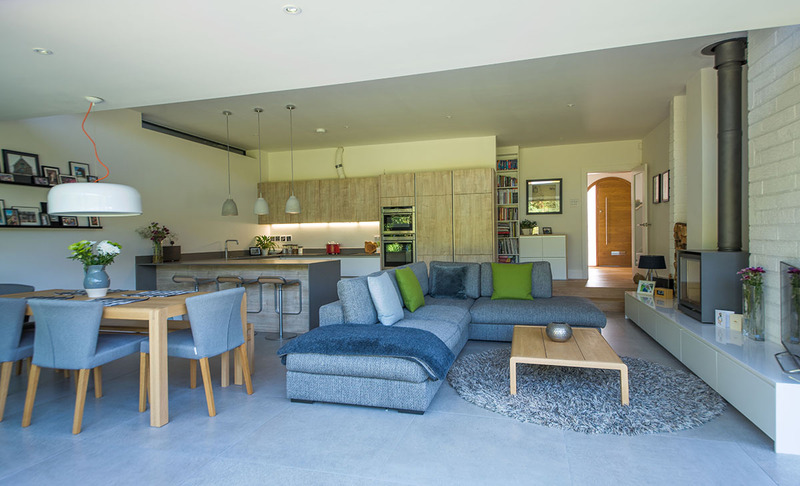 Then, a glazed single-storey extension was added at the rear, incorporating a split-level family space and kitchen with bespoke storage, and a large living room. 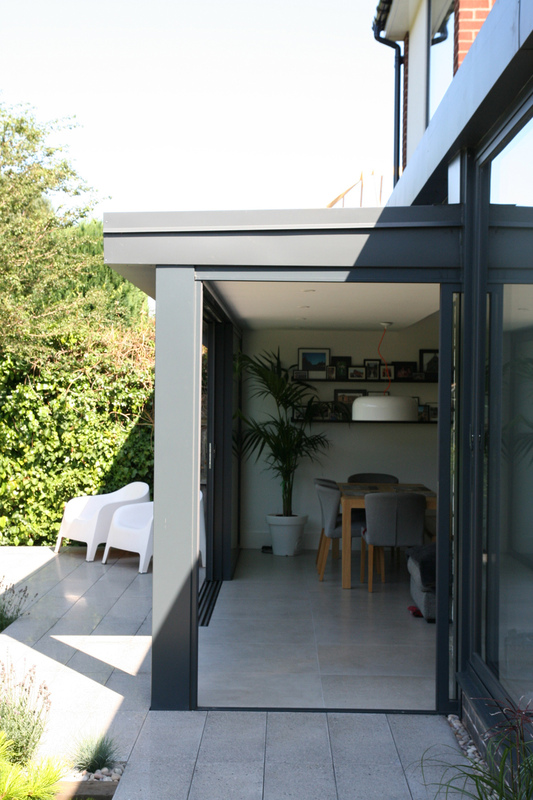 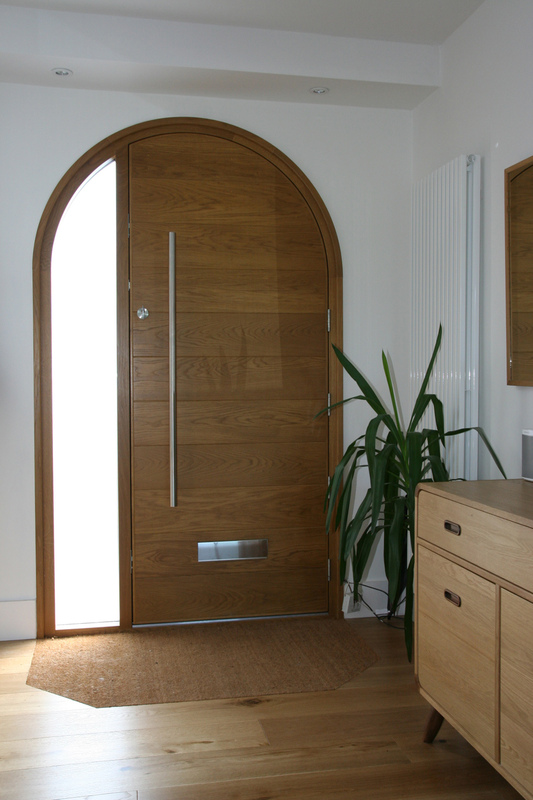 Both spaces were given glazed doors that lead out to the garden. 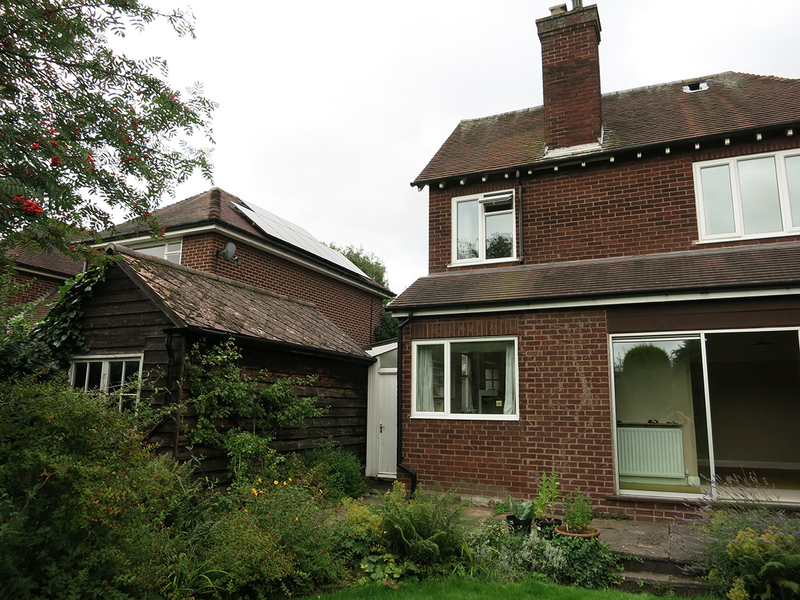 We updated the heating system, electrics and all bathrooms, and added insulation where possible. 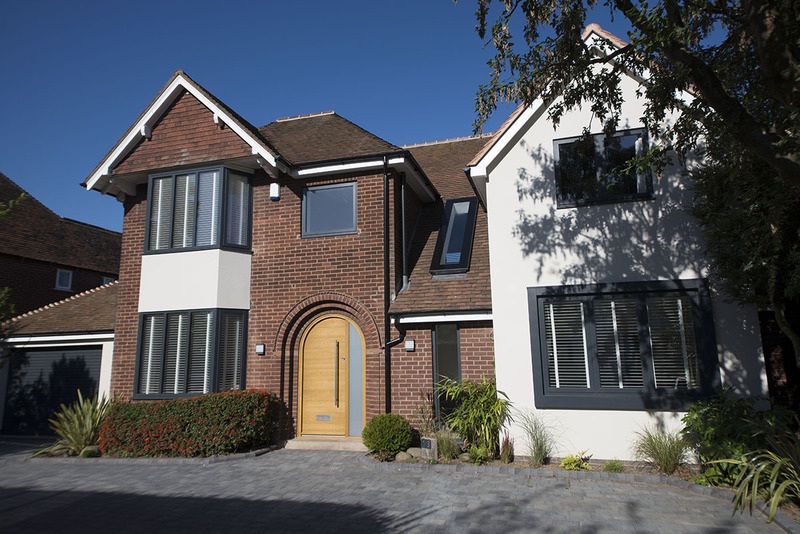 We renewed the front door in oak and the windows in slim-framed aluminium, and a new detached garage was also built to the side.